The Suzuki DR series has earned a reputation for bombproof performance both on and off road. 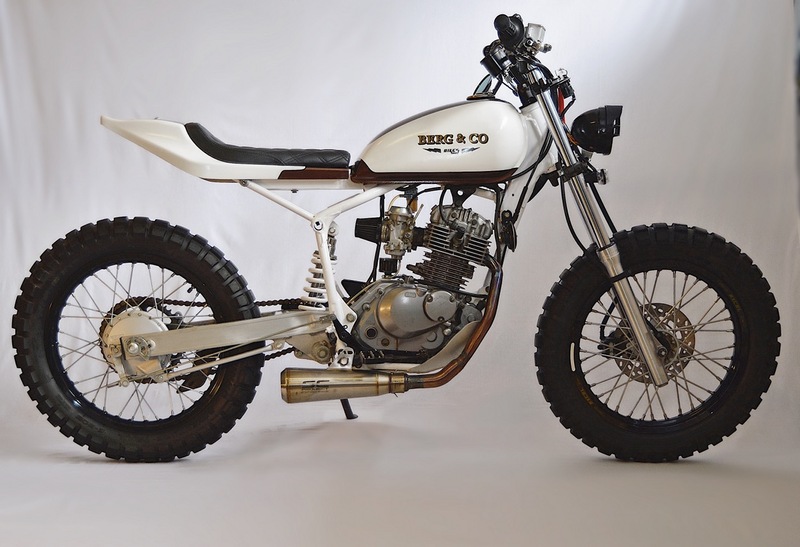 While the DR200 doesn’t pack the displacement of its larger siblings, the 200cc dual-sport has the lightweight, well-balanced, ever-eager nature of a classic play-bike — combined with the rugged reliability of a farm machine. 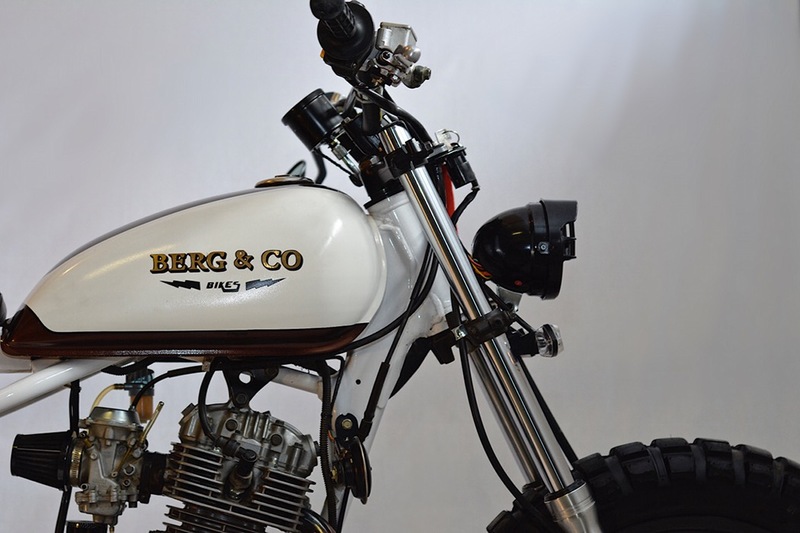 After building himself a custom KLR250, which received a great response at a local show, Kevin decided to start building custom motorcycles in addition to bicycles. The transition has gone quite smoothly, as Kevin has spent the better part of a decade building high-end bicycles for clients, so timelines, budgets, and customer expectations were old hat. The result is “Johnny Lightning,” a small-bore street scrambler that’s sure to brighten the daily commute. Below, we get the full story on the build. About me: I certainly am not a word-smith haha but I am a 26 year old firefighter here in Canada with a background in heavy-duty mechanics (I live in oil country, after all). I got my first “real” motorcycle when I was 18. 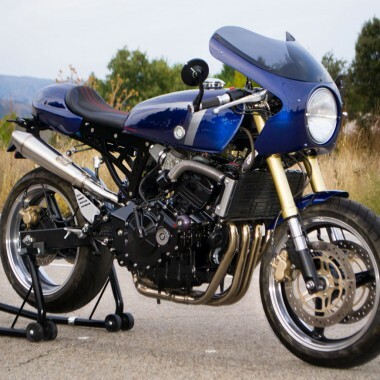 It was a Buell XB9 Firebolt on which I did a lightning tail conversion…horrible bike to start with. When I sold the bike, I swore I would never get another one and would simply stick with the human-powered wheels. I have spent most of my life on two wheels. I have been building high-end bicycles for the better part of eight years out of my small shop here in Calgary. I took interest in motorcycles again after a visiting a friend in the mountains and riding his Yamaha WR200. I thought to myself how good would it be to be able to combine my love of mountain bike trail riding and my pure hatred of having to bike uphill. 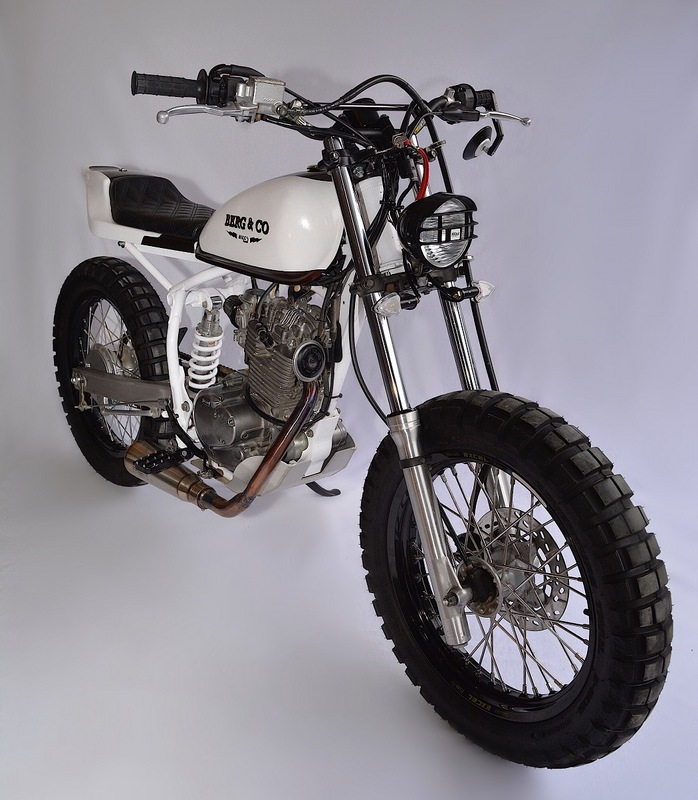 So two years ago I started a build on a KLR250 which I was asked to present in a local show called Kick-start, hosted by a wicked little shop called Ill-fated Kustoms here in Calgary. To my surprise the bike did great and I have since then turned my shop’s direction ever so slightly in a new direction. Having had commissioned bicycles worth as much as cars, I knew what to expect when it came to timelines, customer expectations, and budgets, so the transition has been incredibly smooth. 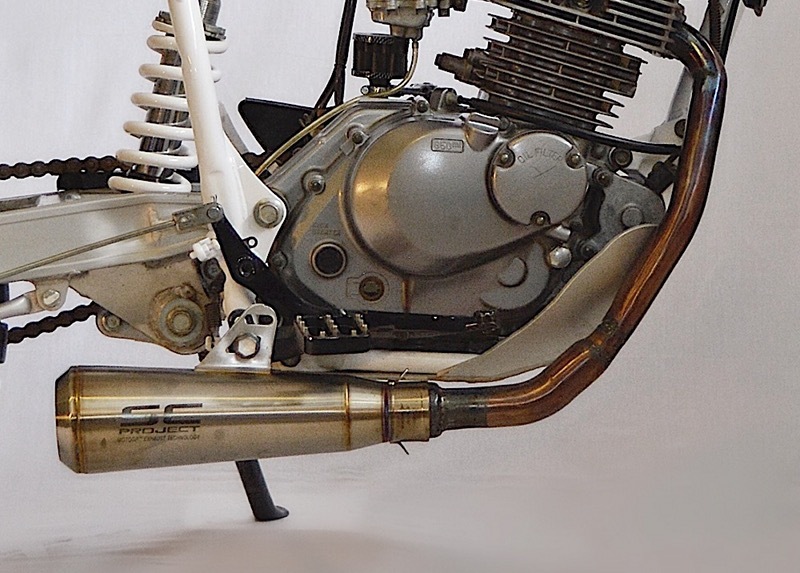 I am just wrapping up our 12th motorcycle build and I couldn’t be happier with the direction we’re heading in. I am able to do nearly everything in-house, which allows me to create real relationships with the folks who have chosen me to build a bike for them and I am very proud for that. Johnny approached me last year and wanted to build a bike with which he could cut through the many farmers’ fields we are surrounded with on his traffic-infested daily commute to work. 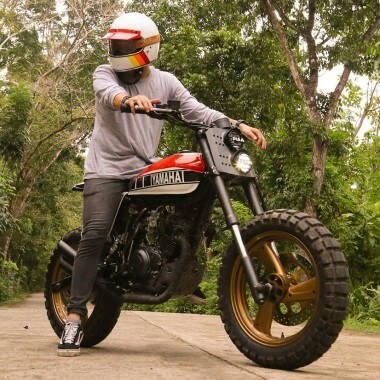 I proposed the idea of a small bore street scrambler and we settled on an ’07 DR200 because of the bombproof platform, the light weight, and the compatibility with Johnny’s vision and his budget. 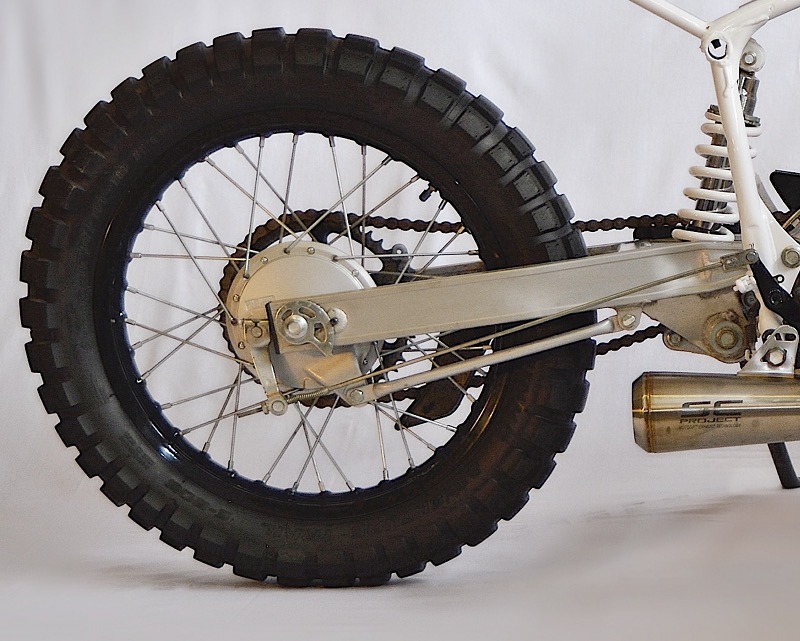 We ditched the rear sub-frame and built one which would be compatible with our Saddlemen seat and tail. Under which we stuffed an anti-gravity battery. 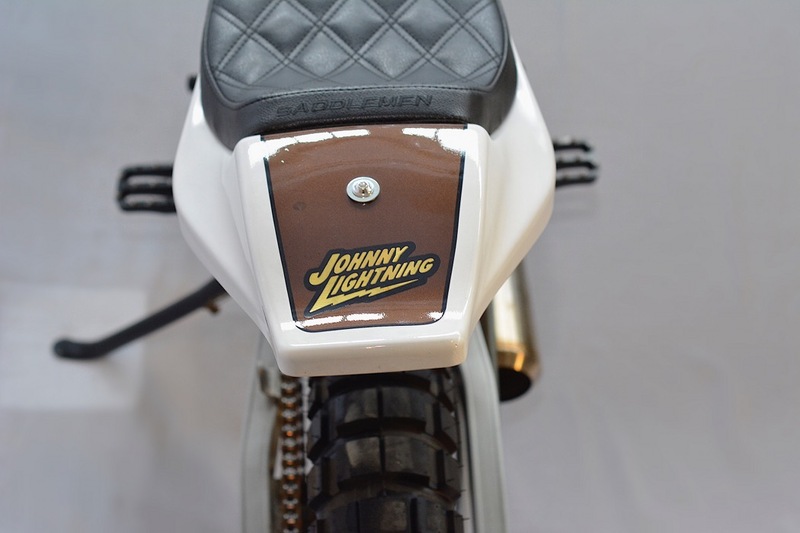 The gas tank was stolen from a GN125 and repainted to match. The headlight glass and grill are made by Hilux, while the shell was custom made to fit most of the electrical. The frame was powder coated by Calgary Powder Coatings Inc, our go-to coaters here in town. 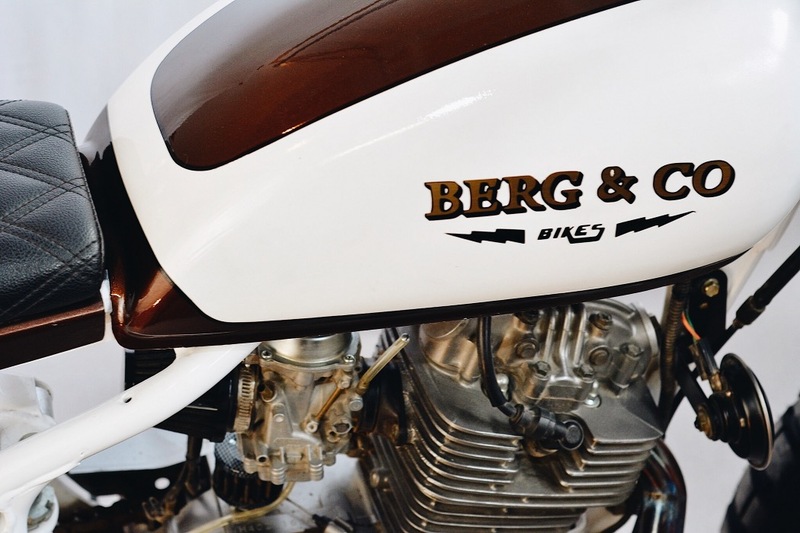 While the rest of the bike received a matching white and Toyota mica brown spray that we did in house. The crown jewels of the bike are the 18″ wheels that Woody’s Wheel Works down in the U.S laced up for us. All pics taken by @hbergphoto. It’s good to keep it in the fam. This thing is an absolute blast.